If you want to get from one side of the world to the other, or even to the next state quickly, flying is generally always the best option. But with flying comes the high costs of airfares. It can really eat into the travel budget fast, especially once your kids are old enough to require their own seats. Suddenly your one or two seats becomes 3, 4 or more if you are travelling with kids. Ouch! Fortunately there are plenty of ways to shave off some of those high costs and save money on flights. This leaves more cash in your pocket for spending on other travel experiences, or towards that next trip. Much more appealing! We share our tips for how we save money on flights, so you too can enjoy a few extra travel luxuries on the money you save. 2.0.3 Do you have an extra tips to save money on flights? Or in this case – flights. Early bird flights are one of the best ways to save money on flights. You can cut your holiday costs by around 20%, if not more, by getting in nice and early. While mostly relevant to international travel, earlybird flights can be released up to a year in advance, offering limited time offers and heavy discounts on their usual rate. It will generally mean getting peak season flights at off season prices. Plan your trip early and book well in advance on international flights. Flights during summer or over Christmas are always more expensive, as with flights to cities where major events are taking place. If you have the ability to be flexible with your travel dates and don’t mind too much what time of year you are visiting, consider booking your holiday outside of the peak travel season. Flights are far cheaper when less in demand. All major airlines and booking websites have email subscriptions to alert you of sales and special deals. This is a great way to keep an eye out for great flight deals to your preferred destinations. It can also be a great way to score a cheap holiday to somewhere spontaneous when the deal is too good to refuse. Our favourite way to stay alerted to specific alerts for the destination and date you are planning is using Skyscanner. You can set up an alert for a specific route and will receive notifications of any increase or decrease. When you see a massive drop, great time to buy. 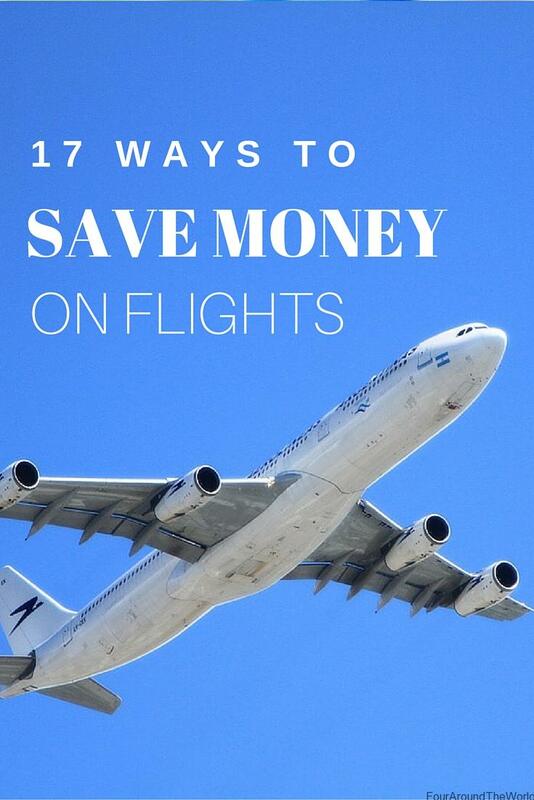 Another great way to save money on flights is to fly budget. Low cost airlines have been popping up all over the place in recent years, making domestic and international travel far more affordable. The more airlines, the more competitive the prices get, so it’s a win for us all round! And many of the more well known budget airlines are owned by larger airline companies. For example, Scoot Airlines offers extremely cheap flight deals to Asia and happen to be owned by Singapore Airlines, a trusted name in air travel. The difference with budget airlines is usually no in flight entertainment or included meals, and carry on baggage. 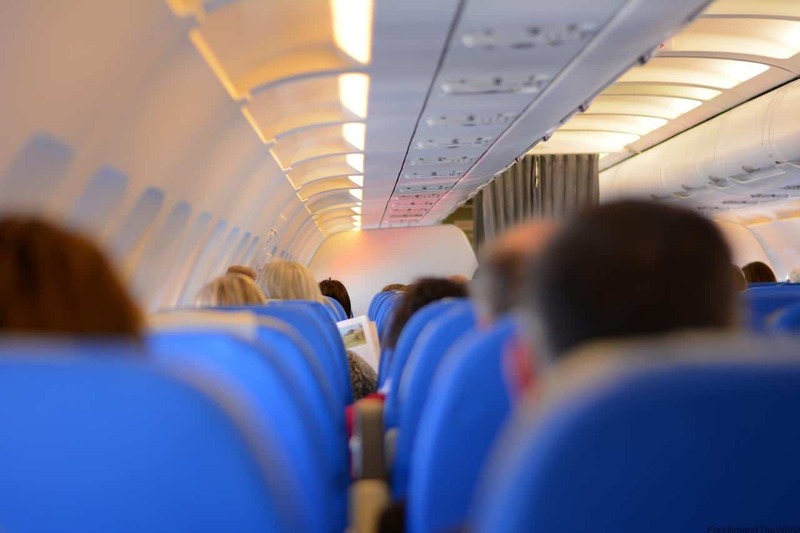 Although there is the option to purchase upgrades such as checked baggage, food and beverages and if they have the facilities, in flight entertainment. No, we aren’t referring to booze. That’s pretty much guaranteed to be a big fat no, but you can BYO other things to cut your costs. With budget airlines, you generally pay extra for those basic services you may be used to so instead of forking out on board, come prepared. Take your own entertainment onboard, such as a tablet loaded up with movies. You may want to pack a portable device charger too, as not all budget airlines will have USB ports. Pack your own snacks and meals as another way to cut your costs. But make sure you check first. Not all budget airline carriers will allow you to eat your own meals onboard. Snacks are generally fine though and BYO snacks are a lot cheaper than triple priced flight food. You can save money on flights by being flexible with your travel days and times. Sometimes there is a big price difference a day or two either side of your nominated flights, so if you have the ability to be flexible, this can be a great option. Most flight booking websites will give you the option to see the days before and after the dates you nominate in their online flight checking system, which can help you pin point a cheaper day to travel. Often mid week flights are cheaper than Friday or Sunday. Flights that depart really early in the morning or really late at night tend to be cheaper than those in the middle of the day and during mid morning. Most people are less keen to get up super early or arrive home late at night so the prices are reflected to suit the demand. Go for early or late rather than the middle of the day and chances are you will find cheaper prices on available flights. If you are a newbie traveller, this one might be a little more complicated than you want, but for anyone willing to spend a bit of extra time planning, you can sometimes cut your costs by booking your flights individually, rather than as a return trip to your desired destination. It may be cheaper to book a return flight to a central point, such as Singapore if travelling from Australia, then book your ongoing flights separately. We have found this can sometimes save a small fortune. There are negatives with doing it this way though. While you are saving money, there is a lot more organising involved both before and during your travel. Your luggage will not automatically transfer to your next flight so you may need to collect it and check in again between flights, particularly if you are travelling with different airline carriers for each leg of your flight. Many major cities have more than one airport. The other airport may be a little further from the city centre and due to the location, it can sometimes be cheaper to fly there instead. If you do find a cheaper flight for an alternative airport in your destination city, make sure you weigh up the difference in cost with extra transport to reach your accommodation though, just in case you end up spending the difference trying to get to where you are going. Most major airlines have their own associated rewards program, allowing you to earn points through travel and other related spending. Often they have rewards partners with non travel services, such as shopping or utilities, earning you bonus points for using these services. Reward points can be deemed for flights, or at least save you a chunk off the total cost by redeeming your points. Even if you don’t think you will earn enough, it doesn’t hurt to sign up, just in case you do end up accruing enough to save you money on flights one day. Major financial institutions often have frequent flyer credit cards linked to a flight rewards program. These are usually the higher interest cards with annual fees, such as American Express accounts or Frequent Flyer Visas, however if you are using the card often enough, it can be a great way to speed up your reward point earnings. They typically work by rewarding you with 1-2 points per $1 spent using the card, and higher for spending on related products such as flight and holiday bookings with the airline. Credit card programs can be a great way to speed up your reward point earnings, so you can redeem for flights even faster. Keep an eye out for special sign up offers of bonus points. You may get up to 50,000 points just for signing up for a new card. That can mean instant savings for you when you book your next flight. Plus they sometimes include free travel insurance too. In some cases, if you are planning to travel by plane around international destinations, you can save money on flights by booking them directly through the foreign airline website. By booking in local currency, you waive some of the fees that may be associated with the booking and may be surprised by the difference compared to attempting to book the same flight through your own countries booking services. We found booking our internal flights in Vietnam directly through the Vietnam Airlines website was far cheaper than the quoted price from our local travel agent (in fact he happens to be a family friend and recommended doing this). Sometimes using a foreign version of popular booking websites can also result in cheaper flight deals. No idea why, but do your research just in case you stumble onto one of these great bonus saving opportunities. Not only do travel agents have access to great facilities to find cheap flights in a few easy clicks compared to the rest of us, some travel agencies also offer competitive discounts if you find a cheaper flight than what they quote. Do your own research even if you do plan to use a travel agent and provide proof of airline prices if their quoted price comes back higher. They may match it or beat it. That’s savings for you! Travel expos are quite a popular event these days, often themed around a certain destination such as Europe or America. Often all the major airlines and travel companies attend and offer expo only specials that beat the current listed prices on flights and accommodation. If you attend an expo, make sure you are ready to book on the day because you are unlikely to get the deal after you go home. Expos are designed to inform, but the mega savings are available to those attendees ready to lock their travel in. These days social media plays a huge role in advertising and sales and sometimes airlines and other travel companies will release special deals or discount codes to their social media followers. You will need to keep a close eye out though because on social networks such as Twitter, the feed moves at such an alarming pace that it can be easy to miss these on the spot fan deals. While flight comparison websites are a super useful tool to help research and book travel, it’s impossible for them to incorporate every single airline carrier into their services. Use these websites as your starting point, but also do your own research. Check the individual airline websites for pricing after you check the comparison site. Sometimes the prices on their own websites are cheaper since they are free of any finder fee that comparison sites may add on. The other tip is to know what other airline services are available. Do a search of all airline carriers that do the route you are planning to take and you may find some super cheap options that were not included on the comparison sites. It can sometimes be cheaper to fly into a major city nearby to your desired destination than it is to fly to where you want to go. If there is a cheap alternative to cover the extra distance, this can mean a big saving on flights. For example, flying to Warsaw instead of Gdansk in Poland will save us a small fortune next year, then we can take a local airline carrier for under $100US for our family of 4 the extra leg of the trip. This is likely to save us upwards of $500 next year on our family Europe trip. Expedia actually have a cool add on in their website search tool to allow you to see what nearby cities there are to your destination, so you can explore alternative options easily. In other cases, a bus, train or taxi may be a cheap alternative to cover the extra distance if you don’t have far to go. it may take a little longer to arrive at your final destination, but if you are saving money on flights, sometimes this extra time is worth an extra hour or 3. If you are doing a big trip, with lots of travel and many destinations internationally, sometimes you can actually save money on flights by purchasing a round world ticket. Round world tickets have unlimited flights during a certain period to certain parts of the world. This means one ticket to cover most, if not all of your flights. But make sure you do your research first to make sure it is going to save you money compared to purchasing your flights individually. There is so much competition these days for flight booking and comparison websites that it can be quite overwhelming and tricky to know which ones to use. And in actual fact, there is no single right option. We have found benefits in using a variety of online services to help us save money on flights. Webjet – Offering a comparison of over 150 different airlines, WebJet will help you compare and book flights around the world by inputting your travel dates and destinations. You will be able to see what airline is offering the cheapest rate, but also compare prices for different days around your desired travel time. 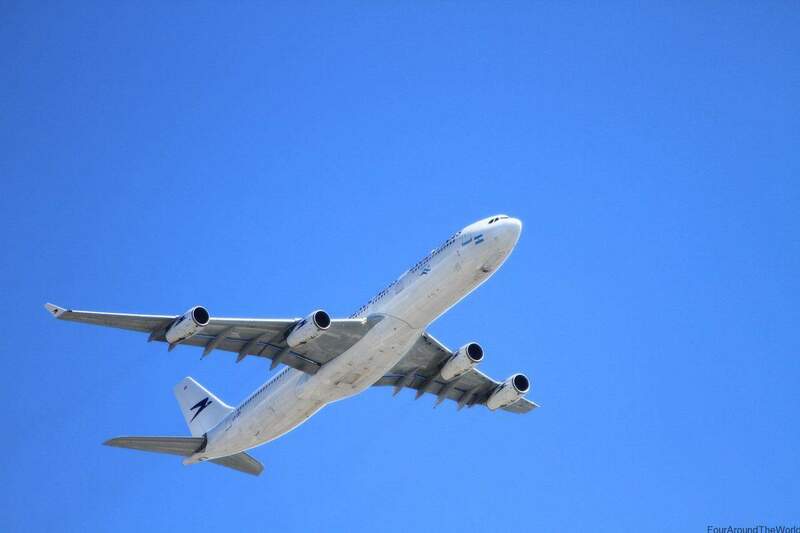 Airfare Watchdog – Keep an eye on flight prices before you fly by setting up an alert on the route you will be taking. Airfare Watchdog can email you with any below average flight deals to your nominated destination. Expedia – A slightly more thorough flight comparison website than webjet, with the ability to fine tune your search with searching nearby cities as well, as just one of the features. Plus you can book your accommodation and transfers too. Always delete your cookies before you start your search otherwise it may impact on the prices shown based on previous searches. Check the comparison websites and the direct airline website prices for potential differences. Check out some more tips on cheap flights from Wanderlust Crew. 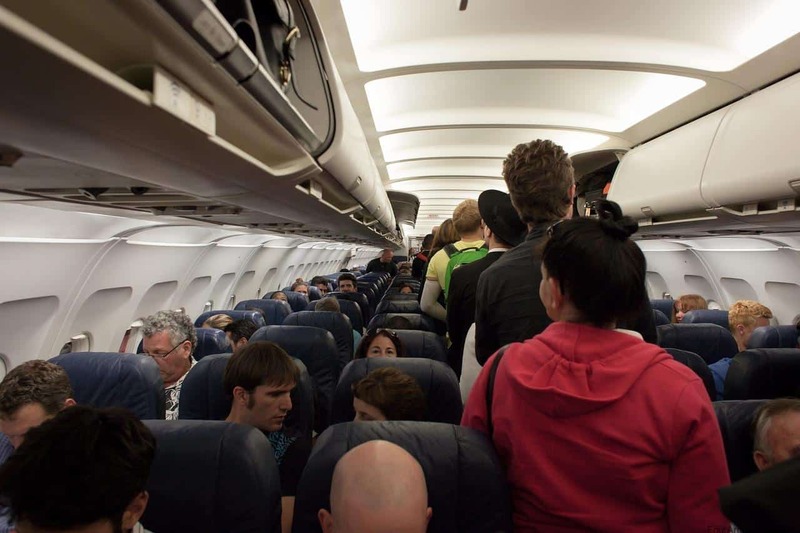 Do you have an extra tips to save money on flights? That’s a cracking selection of tips – we’ve worked our way through most of them. In fact, the list is so comprehensive, I can’t think of anything else to add! Thanks for linking up with The Ultimate Rabbit Hole. Thank you! I’m always on the ball for thrifty travel. Even more so now we have an extra family member to factor in. But I will admit I’m a sucker for crazy specials when I’m not looking too… Spontaneous holidays are fun, but more of a pre-kids things. Good tips! I tend to go with budget airlines and keep a lookout for sales. Flexibility is huge – I’m open to visiting almost anywhere and if flights to a certain country are cheap, I’m up for grabbing a bargain! Yes, that’s the same when we have no particular destination in mind. We go where the bargains take us. We have had some amazing adventures that way. Always a fun choice!